What is Material Design for Angular? Material Design is a specification for a unified system of visual, motion, and interaction design that adapts across different devices. Our goal is to deliver a lean, lightweight set of AngularJS-native UI elements that implement the material design system for use in Angular SPAs. 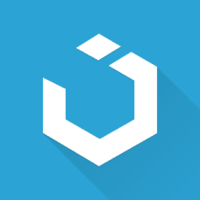 UIkit gives you a comprehensive collection of HTML, CSS, and JS components which is simple to use, easy to customize and extendable. Why do developers choose Bootstrap? Why do you like Bootstrap? Why do developers choose Material Design for Angular? Why do you like Material Design for Angular? Why do developers choose UIkIt? Why do you like UIkIt? What are the cons of using Bootstrap? What are the cons of using Material Design for Angular? Downsides of Material Design for Angular? What are the cons of using UIkIt? What companies use Material Design for Angular? What tools integrate with Bootstrap? What tools integrate with Material Design for Angular? What are some alternatives to Bootstrap, Material Design for Angular, and UIkIt? Material-UI - React components for faster and easier web development. Build your own design system, or start with Material Design. Good service with a good price, worth the money. Leanstack was on Bootstrap 2. Chose this because it is wildly popular, so it’s active, has been used a lot in production, and has a ton of features. Anything you need to do from a UI perspective, there’s likely a plugin for it already part of the library. Haven’t tried the others, but we're happy with BS. For StackShare, we upgraded to Bootstrap 3. I don’t like that they changed the name of columns, essentially breaking the grid layout for Bootstrap 2 and below, so that was a real pain to update. I hope they don’t do that again. Once we have more bandwidth, we’re totally going to decouple our markup from Bootstrap. Provides common user interface like dialogs, menus, etc. Is modular and hight customisable. A part from the grid system, is not used directly, but has as layer of abstraction build with web components, and typescript as far as possible with the time and working constraints, to be reused in other projects. We started with a bootstrap based template and then completely rewrote it due to poor design of the template. Using boostrap properly was a great experience - once you learn it and use it properly, it's simple to use and very good at being responsive and adapting to the various screen view. I simply bought a "job board" template for the website, which is written using Bootstrap 2. I'm hoping to upgrade the site to Boostrap 3 when I'll have a time. Я просто купил шаблон для доски вакансий, написанный на Boostrap 2. Когда будет время перепишу все на Bootstrap 3. With the advancement in CSS, Bootstrap is creating new milestones when it comes to minimising our CSS codes. So elegant and beautiful yet easy and convenient to use once you go through all the classes and its elements. In addition, its JS function is impressive too. UI Kit provides so many great features out of the box. It provides all the tools to build a rich interface with very little configuration. Many of the modules are well documented and are relevant to the common trends we are seeing on websites today. The Angular Material Design framework is used by the Promethean TV Broadcast Center Tool and provides a common set of UI/UX elements on top of Angular. Used the concept idea of Material Design from Google for our basic UI. 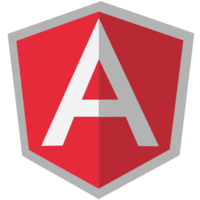 This one is a great implementation source for our Angular Framework. The main application uses this, it's great and solid base for app development in AngularJS.